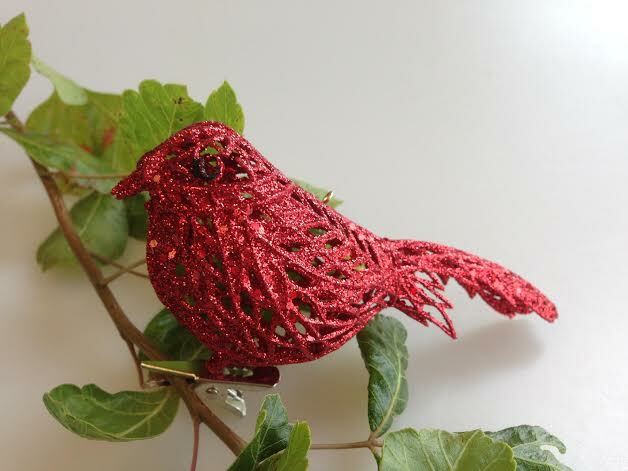 Lightweight glitter covered bird ornament will look lovely on a bird or nature themed tree or any with any holiday décor. Has a loop for hanging and a clip if you prefer to clip on branch. A lovely addition to a wreath or in a little cage by itself .